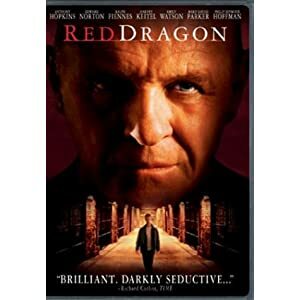 Anthony Hopkins, Philip Seymour Hoffman, and Ralph Fiennes are part of the amazing cast of Red Dragon. This film, which is based on the novel of the same name by Thomas Harris, is full of intrigue and suspense. This movie is the first of the Hannibal Lecter trilogy. As movie villains go, Hannibal Lecter is about as bad as they come. He's super intelligent, cunning, and loves to cannibalize his victims. This movie tells the story of Hannibal Lecter (Anthony Hopkins) before he came to be the violent serial killer that terrorizes the world. Edward Norton portrays an ex-FBI agent and Ralph Fiennes plays the role of the mentally disturbed Francis Dolarhyde.